One of the most popular questions our guests have as they begin planning their New England adventures in whitewater is how long the rafting season lasts. It seems that everyone is surprised when we tell them we go straight through September. Yes, we live in Maine where it can get slightly colder than say, Florida, but as long as you have the right gear, September whitewater rafting is one of the finest times to plan the best Maine vacation, especially if you're planning a vacation on a budget! So, what's so great about September whitewater rafting? A few things. The first being that you don't have the usual tourist traffic that you would in the busy months of July and August, both on the roads as well as around town. Our quaint little town of Greenville, Maine is extra charming as we head into September because the busy season has already come and gone and everyone has time to stop and talk, making a more personal connection with all of our travelers. Because it's no longer the peak travel season, you will also notice the abundance of discounts- perfect for a family vacation on a budget! Vacationing on the off-season is the perfect way to keep prices low and the cheapest rafting rates you'll see all year! Even though the air temperature is starting to get colder and the days starting to get shorter, September is still a great time to go whitewater rafting because the water has yet to really cool off. We start the day off right by preparing our guests for the weather by renting wetsuits as well as suggestions on how to stay warm...even if it means some nice yummy hot chocolate at lunch! The absolute best part about rafting in September, though, is the absolutely immaculate scenery. The New England fall foliage is known around the country as some of the most beautiful fall colors, and the Moosehead Lake Region definitely takes the trophy in the beauty pageant of landscapes. There is nothing more beautiful than rafting down the Penobscot River Gorge or Kennebec River Alleyway surrounded by fall foliage of bright yellow, crisp orange, and firey red. There are few things better than whitewater rafting in this world, and whitewater rafting in the fall is one of them! Rafting in September is the perfect fit for any vacation- a New England romantic getaway, a last minute weekend family vacation, a way to get off campus before exams, an adventurous Maine honeymoon, or even just the perfect opportunity to cross rafting off of your bucket list. Take it from us, September is one of the most beautiful, convenient, and cost-effective times to plan your whitewater adventure. Not to mention the special days we have coming up! There are still two Turbo-Charged Kennebec River Rafting days (September 7th and 21st), as well as one (but possibly more) Double-Trouble premium Penobscot Rafting days. Our big water days on the Kennebec are two of the most popular days to raft, and definitely the best day if the Kennebec is the your river of choice. As part of a scheduled release, the Kennebec water flow is increased to 8000 cubic feet per second (as opposed to the normal 4800cfs), transforming the river in its entirety. 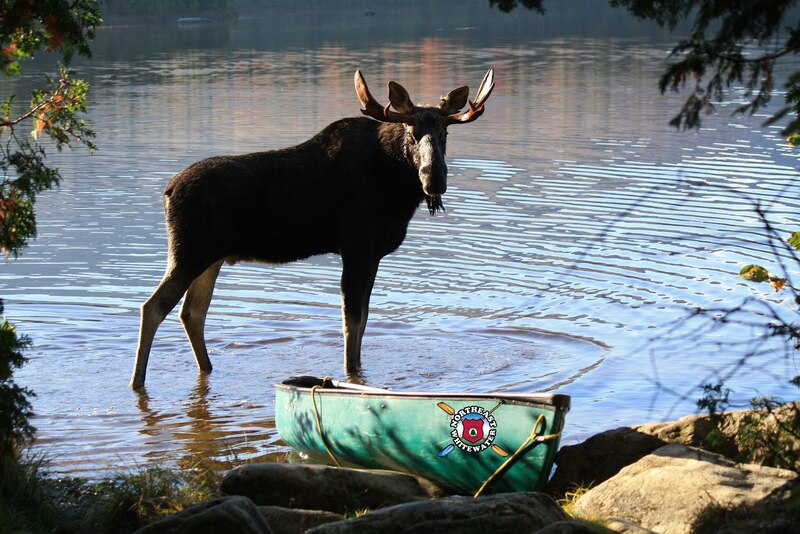 It's the BEST and WILDEST day possible on the Kennebec River! Our premium Double Trouble day on the Penobscot (September 8th) is a special occasion where we run the upper section of the river, where all of the big class V rapids are, TWICE. 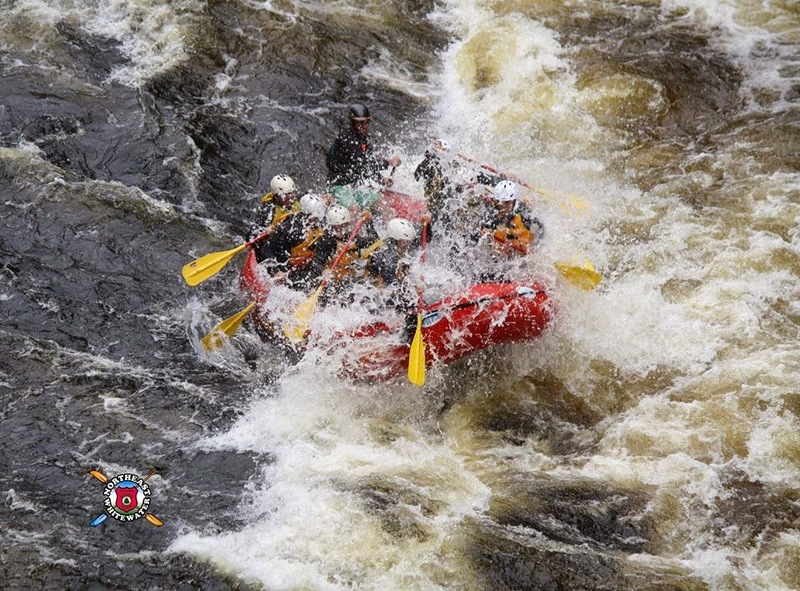 You get double the class V's and triple the adrenalin rush as you have two attempts to make it through the river-wide Exterminator Hole and most technical Cribworks rapid, in addition to the several other rapids of course. This is an extreme trip any time of year, but it's especially thrilling in the fall due to higher water levels. 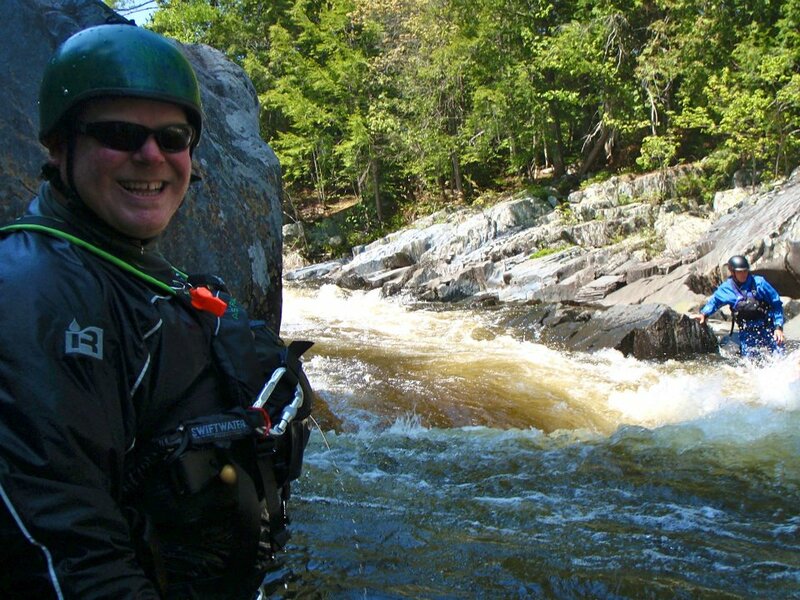 Rafting the Kennebec River at 8000cfs...BIG Water Day! Don't just take our word for it, find out for yourself! Sign up today to see what everyone is talking about...you won't regret it! Go Rafting today with Northeast Guide Service! !